At Booth Movers we understand the planning and effort that goes into executing a successful residential relocation. Not only do you have to pack up your entire household, you may also be looking for a professional New Jersey appliance moving company to handle the heavy lifting for your washer and dryer, kitchen appliances, and more! Since 1945, our New Jersey appliance moving company has led the industry in providing expert appliance moving services throughout the Bergen County area and beyond. Empowered by our company's commitment to professionalism and customer care, our ProMover-certified New Jersey appliance movers are highly trained and capable of meeting all of your residential relocation needs! Booth Movers is an award-winning member of both the American Moving & Storage Association and the New Jersey Warehousemen & Movers Association. With free, in-home estimates and outstanding customer service, it is our goal to provide you with the best New Jersey appliance moving services in the industry! Residential Movers – Our experienced residential movers are capable of handling relocation projects of any size. Local Moving – When planning your local move, you can rest assured that Booth Movers is the most experienced Bergen County residential moving company you can hire! Long Distance Moving – Our New Jersey moving company will ensure that all the details of your long-distance move are handled professionally and efficiently. Household Moving – For households large or small, let Booth Movers guide you through each stage of the relocation process! Interstate Moving – Moving to a new state requires a lot of planning, so let our experienced team work alongside you to make your relocation a seamless experience. Full Service Moving – From start to finish, Booth Movers offers comprehensive moving services that can be customized to suit your needs. International Moving – Our Bergen County moving company has global connections and state-of-the-art equipment to help take the stress out of your international move. Interested in hearing more about the premier choice in New Jersey appliance movers? 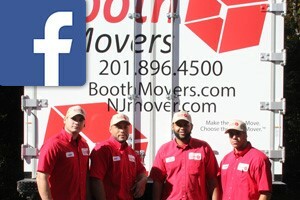 Give Booth Movers a call today or fill out our online form to request your free, no-obligation moving estimate!